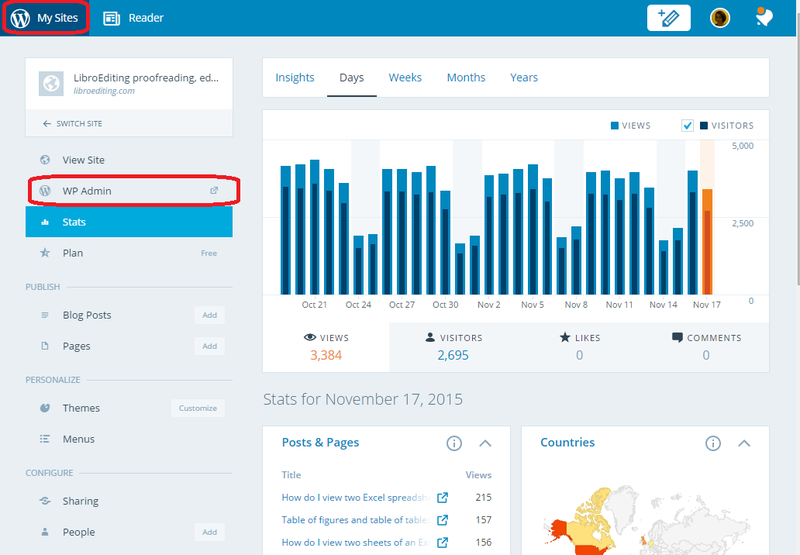 Why are my blog statistics so low? Who’s reading this thing anyway? We all know by now that it takes time to build a blog audience and that you need to keep plugging away, writing interesting stuff and engaging with your readers. But sometimes it just feels like no one is listening, like no one is looking at your carefully crafted posts. Why is this? 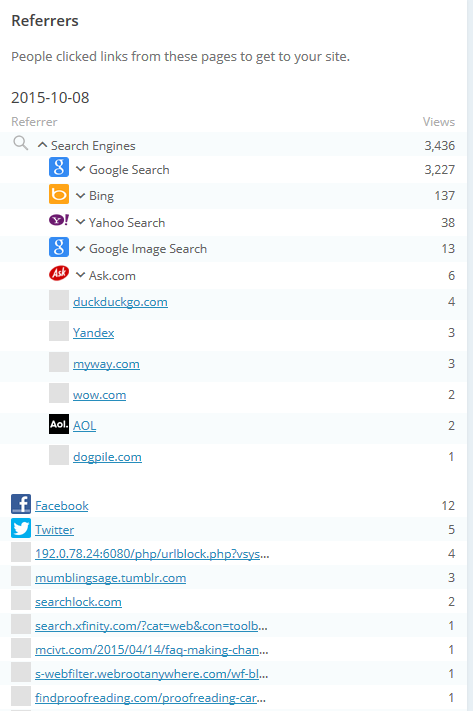 Why are my blog statistics lower than I would expect? 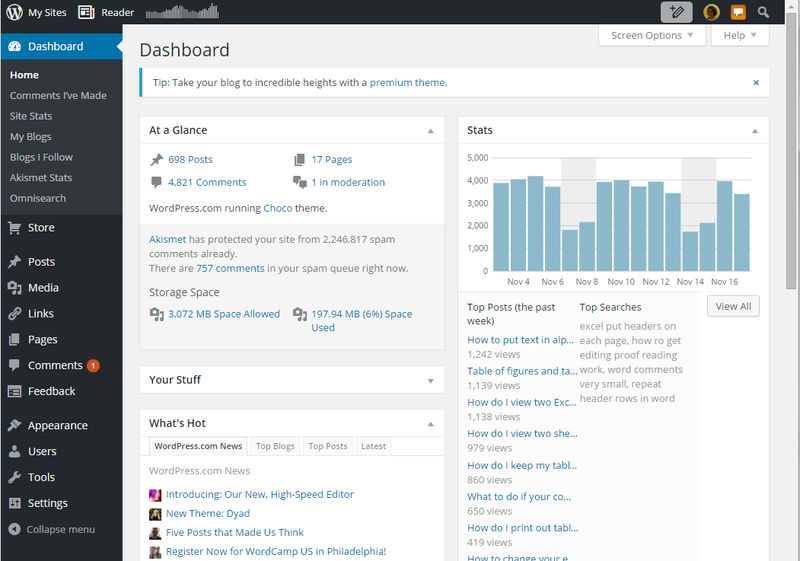 I use WordPress for my blogs, so I’m familiar with the statistics it offers (read more here), however, I know it doesn’t record all of the views of my posts, which can be very frustrating. This is how that happens. 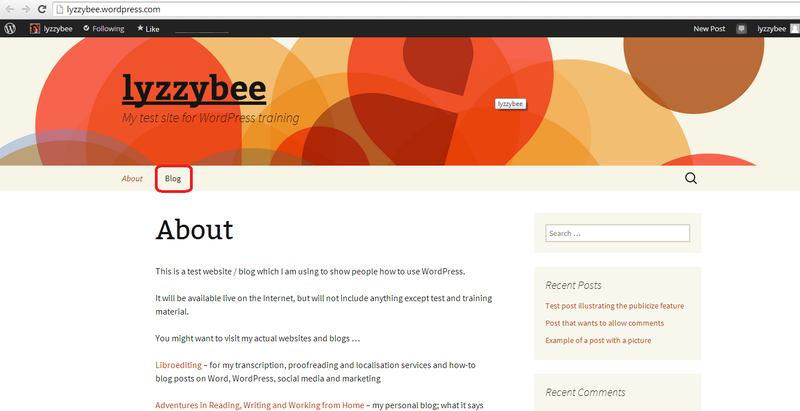 Hopefully you’ve set things up so people can subscribe to your blog via email. Every blogging platform will have a plugin or menu item that will set this up for you so there’s a “Subscribe by email” button on your blog. People who have subscribed to receive your articles via email will receive the text of the post in an email with a link to view the post on your website. 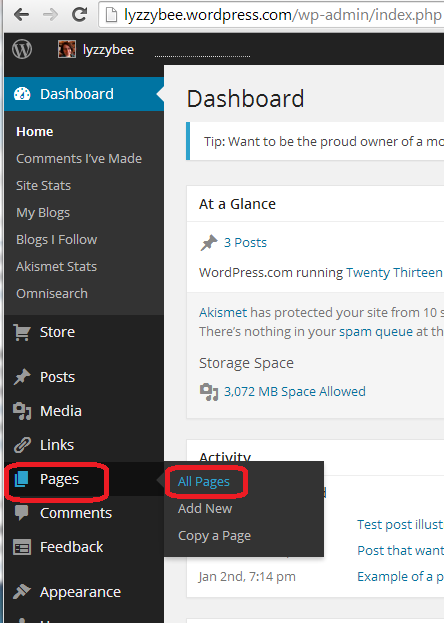 They can open the email and read all of your article, but WordPress won’t know they have done that unless they click through to your website, at which point it will record the click. If they just read the article in the email and don’t click through to like, comment, etc., you won’t know that they’ve read your material. 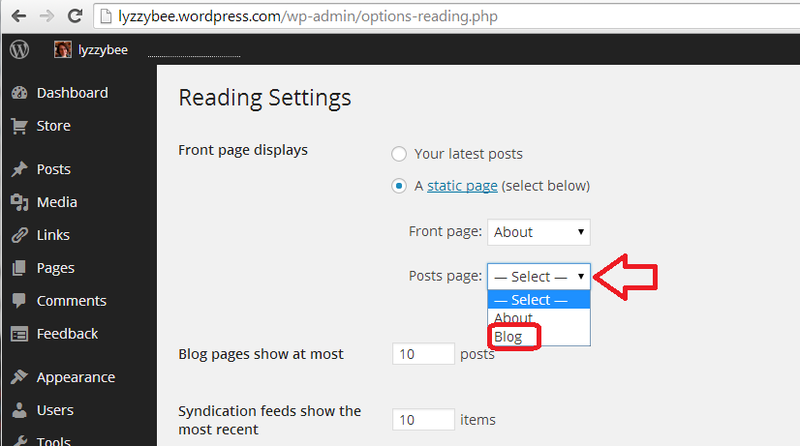 People can also subscribe to the blog using a blog reader, either through WordPress itself, for example, or another service such as Feedly (which I use). A blog reader uses what’s called an RSS feed to gather articles someone has said they want to read and display them all in one place (the RSS feed works in a similar way to the emails going out to people who’ve subscribed via email; instead of sending a person an email, it sends a blog reader the text to display in the reader). 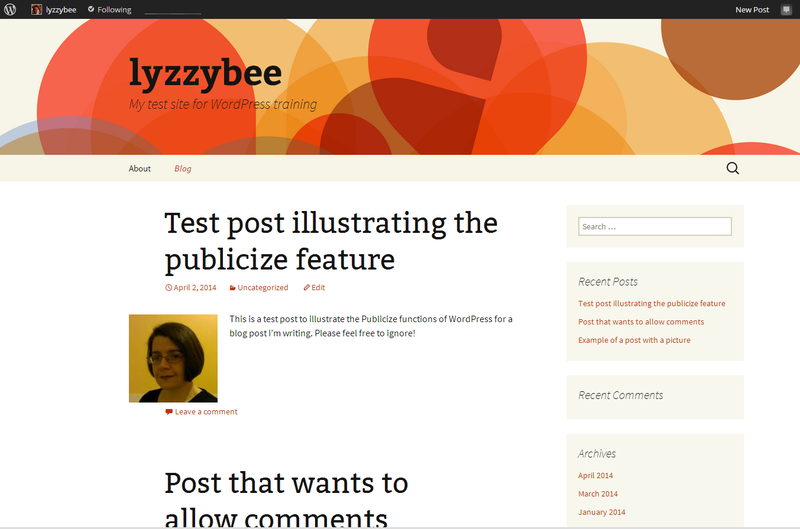 The text of the post will display in the person’s blog reader software with a link to view the post actually on your website. Again, someone can read your post in their blog reader, but unless they click through to view it on your site, your blogging platform can’t know they’ve read it and won’t record that they have done so. So what are my statistics showing, then? In other words, there are fewer people recorded as having read your blog post than have actually read your blog post. 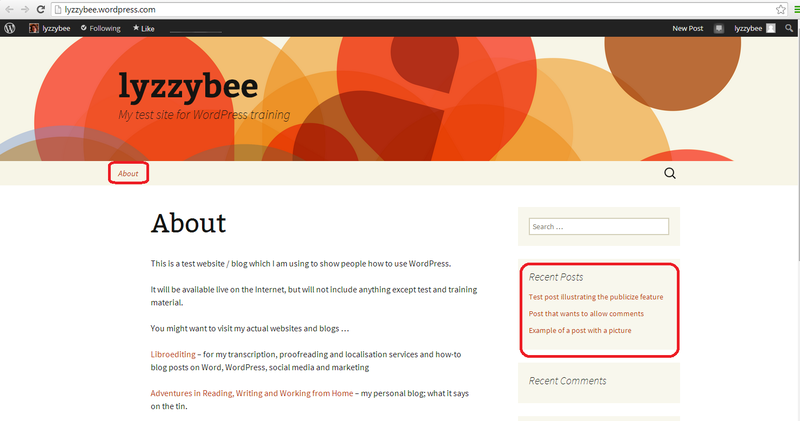 Note: If you want to experiment with only offering blog aggregator (Feedly, WordPress Reader, etc.) and email subscribers the first few lines of your blog post with a link to click through, hopefully encouraging them to visit your website to read the whole article, this article (third-party content recommended by a fellow blogger) explains how to do that. I hope this has reassured you that those dismal stats are not as dismal as you thought they were! Please share and/or comment if this article has been useful for you. This post and the one on setting a static home page will walk you through helping your readers to navigate your blog/website by creating a Menu item to allow people to access your blog posts and a static home page so that they understand what you’re all about. Why would I want to set up a Posts page? 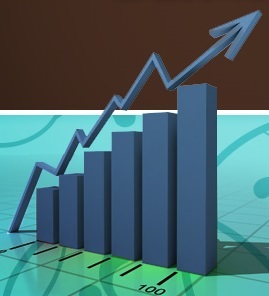 If you’ve set up a static page for viewers to land on when they visit your blog (which is recommended for any set of pages and posts where you’re promoting a service, company or product, whether that’s your crafts, plumbing services or travel or writing blog), then your readers will need a place to visit your blog posts. You can see that there’s only one page on the menu at the top of the page (menu location will vary depending on your theme; menu items will vary depending on how many pages you have set up) and then a list of recent posts. Clicking on the blog title will bring you to this “About” page again, which is fine, because that’s the first page you want your readers to see. 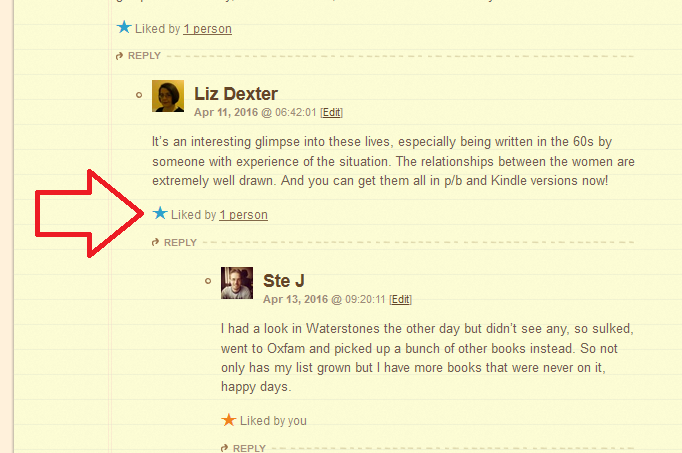 But it’s not helping them to see your blog. 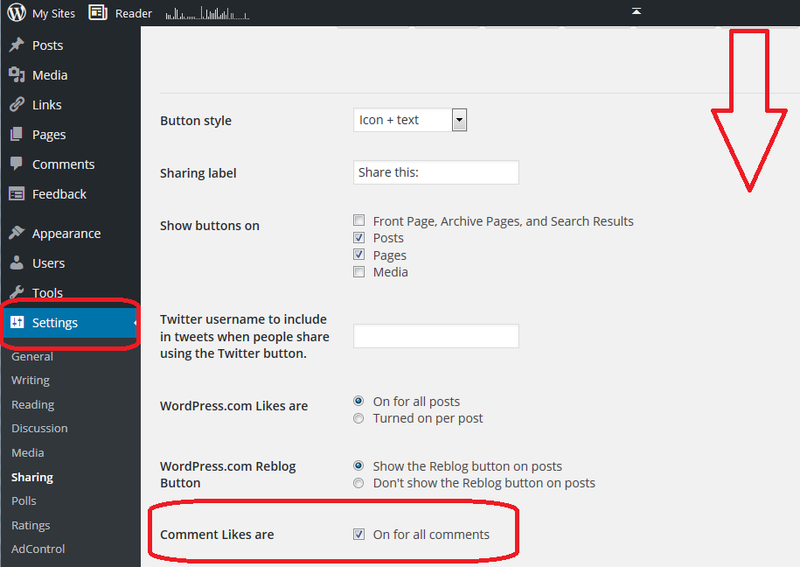 How do I set a Posts page? First of all, you need to set up a page for the posts to be associated with. Why? Because a page is a static, unchanging lump of text on a screen, and WordPress likes to add pages, and not posts (which are constantly renewed and have dates on them) to menus. 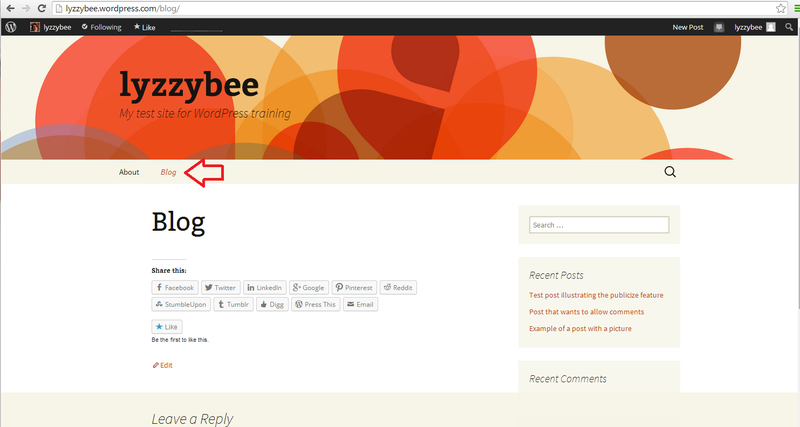 So we need to set up an empty page called, for example, “Blog” first (another popular choice is “News”). Oh no! 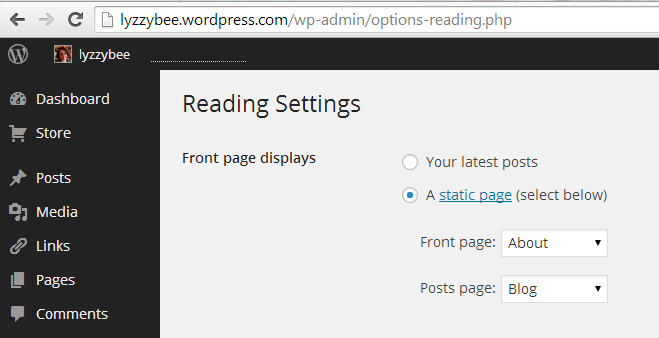 But don’t worry, you just need to tell WordPress what you want your readers to see when they navigate to this page. Click on the Save Changes button at the bottom of the screen. 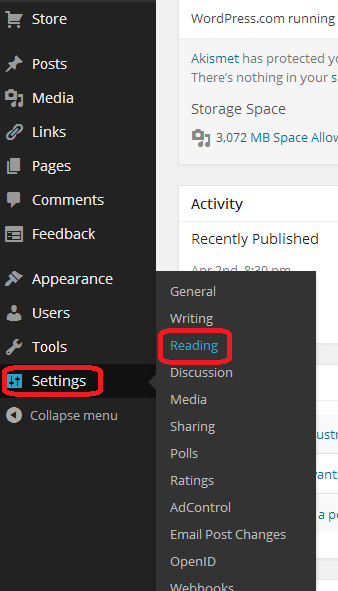 When viewing the website and clicking on Blog, you now have a menu item and page that your readers can navigate to in order to read your blog. Yes, this is a bit convoluted, but it’s how to make a posts page that’s easily findable by your readers. If you look at the top of this blog post, if you’re viewing it on my website rather than in an email or via an aggregator, you will see Home and Blog among the menu items at the top, and most good sites will have something of the sort.